The West Highland White Terrier shares a history with that of the Dandie Dinmont, Skye, Scottish, and Cairn Terriers; they are all considered branches of the same breed. The West Highland White Terrier originated in Scotland and was used for hunting fox, badger, and otter and for killing vermin such as rats. There's not much evidence to determine the exact history of the West Highland White Terrier, but many believe that the breed can be traced back to the seventeenth century and a small breed of earth dogs that James I of Argyllshire gave to the king of France. 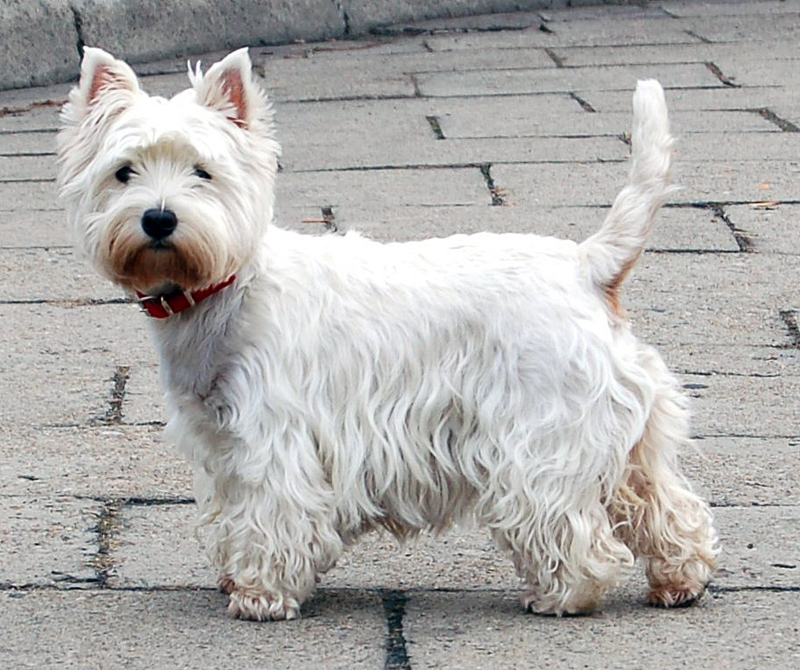 According to breed lore, the Westie's white color resulted from a tragic nineteenth-century accident that occurred while Colonel Malcolm of Poltalloch was hunting fox. The colonel accidentally shot and killed one of his wheaten-colored Cairns. Devastated, and determined to prevent such accidents in the future, he decided to breed only white dogs that couldn't be confused with foxes. The West Highland White Terrier has been known by many names, including the Poltalloch Terrier and the Roseneath Terrier, but he was officially recognized by the Kennel Club of England as the West Highland White Terrier in 1906.